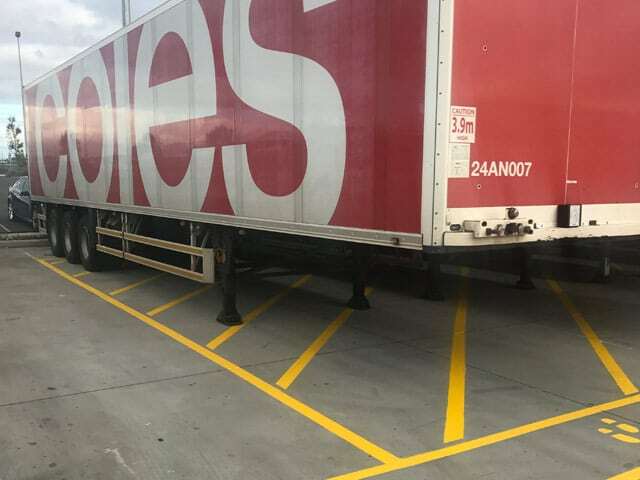 NEED LARGE SCALE INDUSTRIAL LINE MARKING? No job is too big for Mainliner. 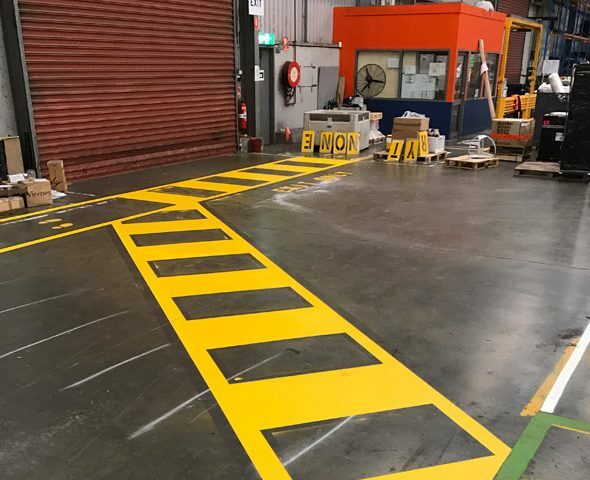 We provide Industrial line marking to some of the biggest warehouse facilities in Melbourne. Our highly experienced staff understand the requirements of large scale industry vary, and so too does the needs for line marking. From surface adherence, to colour and communication, our staff offer coating solutions to marry any requirement. We know how easily a line, sign or symbol can influence. It can act as a preventative measure to hazards in the workplace or direct the flow and work productivity. The extensive range of coatings and colours we offer can assist in the areas of Occupational Health and Safety (OHS), to line production. 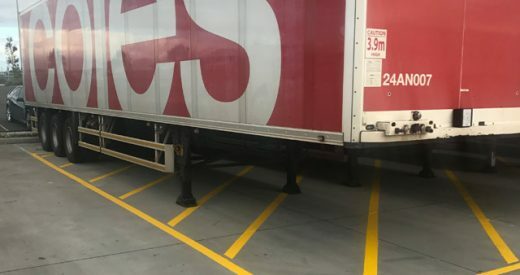 Our reputation has seen us work with local government authorities, shire councils, civil contractors and some of the biggest companies in Australia, establishing us as one of the most reliable line marking and coating experts in Melbourne. Contact us today, and we can give you a free quote for affordable painting solutions that include non-slip and Epoxy coating. We can also offer products such as bollards, sign installation, wheel stops and speed bumps. Whatever your line marking specifications may require, let Mainliner provide the professional standard.